After a much needed break in July, I’m so excited to bring back the Finding Joy Podcast once again this month! Thanks for being patient while I was in a very busy season of life. 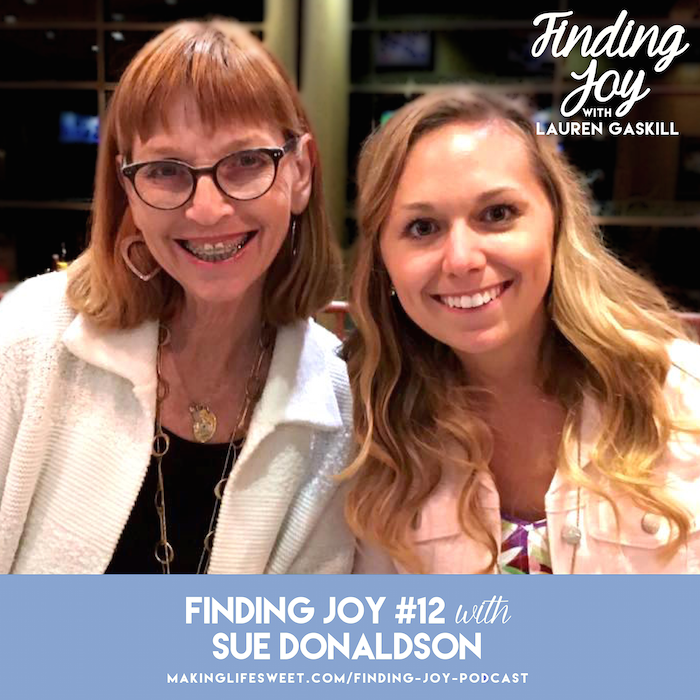 Sue Donaldson is our guest for the 12th episode of Finding Joy! Sue is a mother, wife, author, speaker, Bible study leader and — though she might not use these exact words — the queen of hospitality. Sue and her husband Mark reside in San Luis Obispo, California with their three daughters, Bonnie Sue, Bethany and their “surprise” treat at almost 44, Mary Grace. She has a passion to share who God is with whoever comes her way. For her, intentional hospitality for the sake of Jesus is a joy and a privilege, and she believes it can be learned! 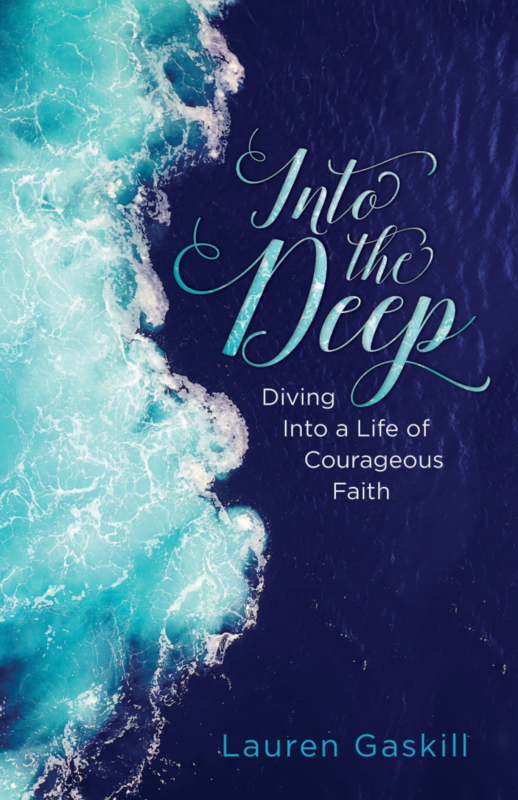 Her work as an author, speaker and missionary. Common hang ups we might have with hospitality and how to overcome them. 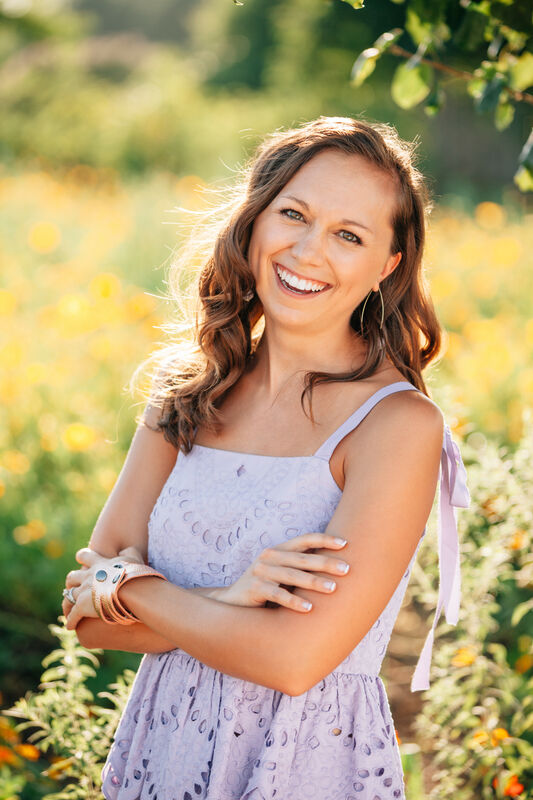 Simple steps you can take to cultivate a more welcoming, hospitable heart. Stories of people whose lives were changed because of Sue’s Biblical hospitality. Lord, help yourself to our lives. Help us have open hands and open hearts. I will try to stop by a little later to listen in! Awesome! You’re gonna love Sue, Melanie! She has such a beautiful heart. Hope you enjoyed it! I’ve listened three times now and every time I learn something new! Listening to this now. I’m hosting a few birthday parties and a get-together with old friends next month–so I can’t wait to learn more about hospitality. Lauren, can I just tell you that your smile is contagious! You are the sweetest! Thanks so much Valerie. I will be praying over your gatherings next month! I do want the Lord leading my life every single day! Amen! Me too, Deborah. Have a blessed Sunday. Aww how cool! I LOVE Sue!! Her wisdom and wit and hospitality powers intrigued me ever since I started reading her blog last year! Excited to listen! Yes, Sue is a blessing to so many!! Love her! Thanks for stopping by and tuning in, Heather. Have a blessed week!